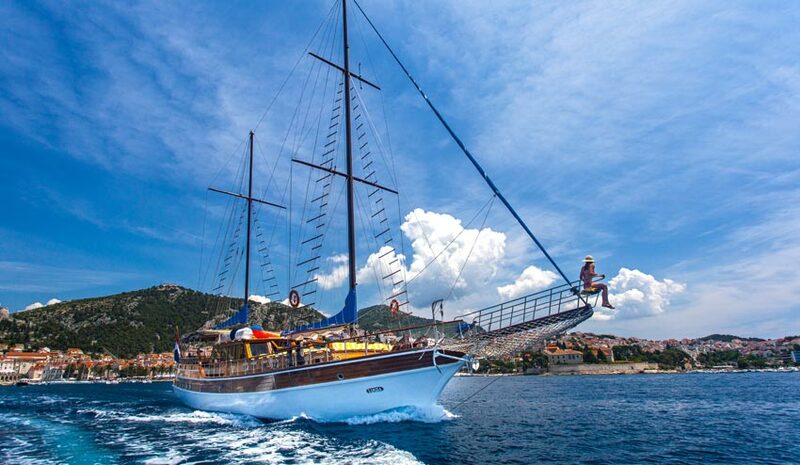 Our Gulet cruises Croatia have all of the same amenities that you might find in a high-class hotel. We provide gulets in Croatia for the discerning travelers seeking to cruise the Adriatic Sea in style. 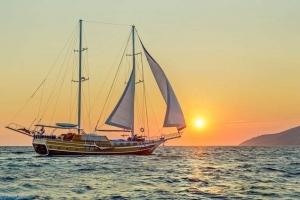 Gulet Charter Croatia cruise is the perfect way to spend some time on the Adriatic. 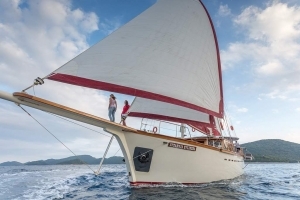 Croatian Gulet Cruises For those looking for the experience of a lifetime, a gulet cruise is the perfect combination of luxury and adventure. Our traditional wooden yachts, or gulets, are fitted with modern navigational systems, engines, and conveniences, while retaining the charm and beauty of sailing, and our regularly-inspected vessels are fully-staffed with experienced captains, mates, and cooks to make your time on our gulet cruises in Croatia memorable. 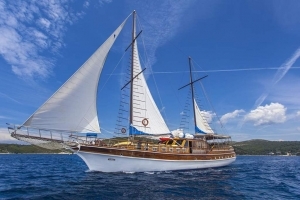 Gulet holidays in Croatia have your comfort and relaxation in mind. Vacationers can choose from our Adriatic itineraries or we can customize a cruise based upon your plans. Lie back and enjoy the picturesque views and the deluxe accommodations, including Dalmatian cuisine and a bar stocked to your specifications, while we set sail to your next port. Indulge in a variety of onboard activities, including fishing, snorkeling, and waterskiing, or simply soak up the warmth of the sun’s rays. Business or pleasure, large group of family or friends or an intimate meeting of two, a personalized gulet cruise is waiting for you. Vacationers to Croatia may opt for the full local experience by taking a trip on a gulet, or a traditional wooden yacht. All of our gulets are equipped with modern navigation tools and have been fitted with engines for convenience. However, when weather conditions permit, our gulets may use sails to get around. When you book a Gulet charter in Croatia, you reap the benefit of a crew of experienced sailors as well as excellently maintained ships. All of our boats are regularly inspected, and we have gulets in a wide variety of sizes to meet the needs of both small and large groups. Our customer service staff will work with you to find the ideal ship for your family, group of friends or corporate gathering, and we can assist you in putting together a travel itinerary for your time on the gulet. If you are looking for the best way to see the sights while on holiday in Croatia, chartering a gulet is the ideal solution. With gulet rental Croatia, you can kick back on relax on board a well-maintained, traditional vessel while our crew navigates the waterways for you. 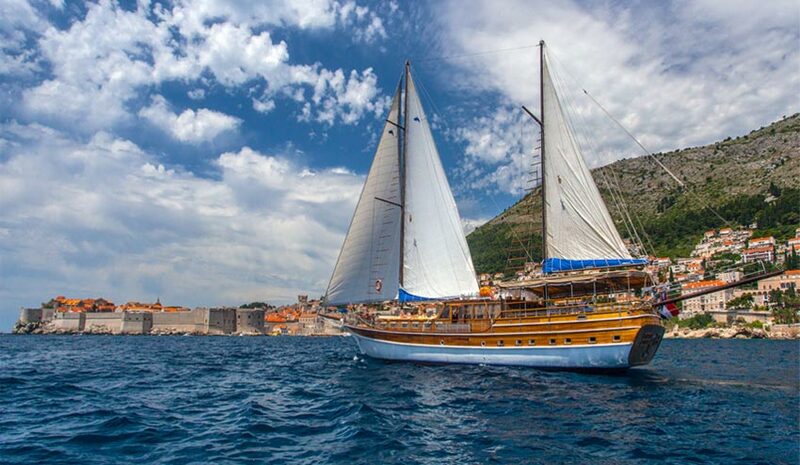 Join us today for a truly unforgettable experience on a Gulet cruise in Croatia. 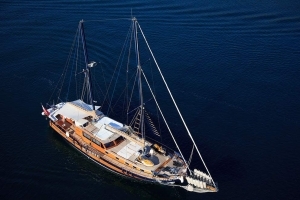 Gulet charter provides a leisurely way to explore the area without having to worry about the logistics of where you will stay or how you will get to where you want to go. Just let our crew do the work, and you can enjoy the serene experience in between destinations. We can provide itineraries or gulet cruises Croatia if you are unsure of what you'd like to see, but we are also flexible and can fit in any coastal destination into your travel plan. Our crews include a captain, cook and additional crewmembers to help with cleaning and navigation, depending on the size of the gulet. Our attentive crewmembers are at your service, and they will help you enjoy an unmatched level of service. En-suite accommodations, open seating dining, exquisite Dalmatian cuisine and a bar stocked to your specifications are just some of the luxuries you can enjoy while traveling on a gulet in Croatia. We also offer a wide variety of onboard activities, including snorkeling, fishing, water skiing and more. The turquoise waters of the Adriatic and beautiful surroundings will give you lots of pleasant memories after your Gulet Holidays Croatia is over. You will be tempted to make your vacation a permanent one and stay in the country forever. Our gulets can accommodate 6 - 16 guests. 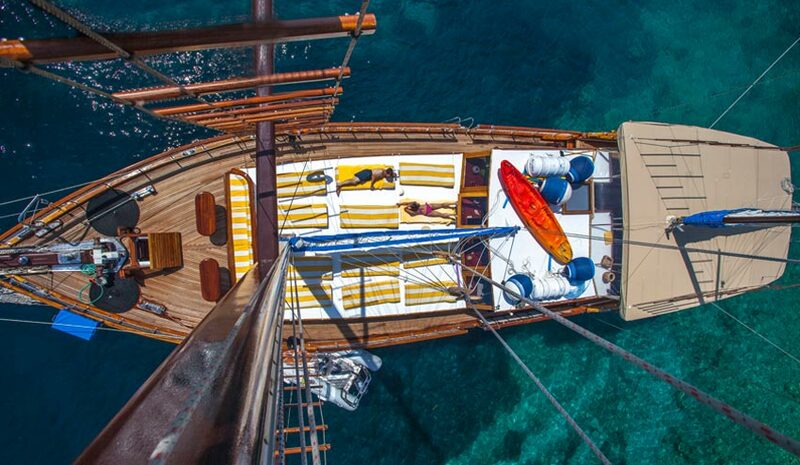 Depending on the size of your party, you may opt for a smaller gulet charter in Croatia or possibly multiple gulets. We also have a limited number of cabin charters for individuals or couples seeking adventure. Gulets are over 75 feet long and contain 6 to 8 cabins. Each cabin includes an en-suite shower room, cabinets for clothing and other basic amenities to ensure that you have a good time while you stay with us. 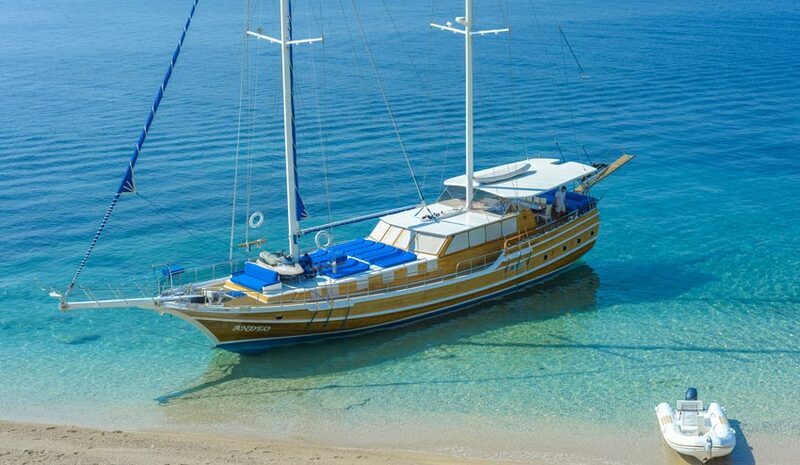 Give us a call or send us an email to schedule your gulet holiday in Croatia today!